When the computer and projector are connected then both should display the same image, but many times the laptop will need to be mirrored manually. 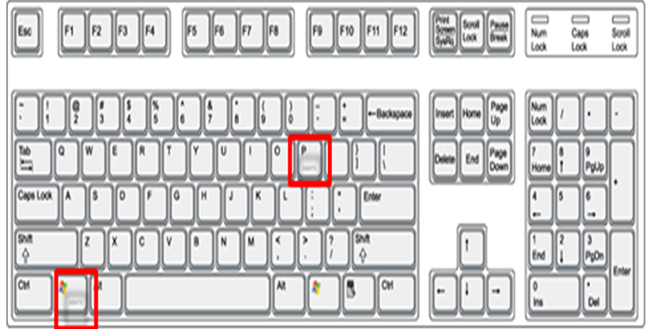 1.Hold down the Windows key and at the same time press and release the P key. 2.Click on the Display option you would like to use. •To show the same image from the computer on the projection screen just hose Duplicate option. •You can also navigate by using the left or right arrow keys and then press Enter when you are ready to select. 3.The "Computer Only" option allows the user only see the computer monitor. 4.The "Duplicate" option provides the user the ability to duplicate the users monitor to an external screen. 5.The "Extend" option provides the user the ability to expand their desktop viewing to more than one monitor. 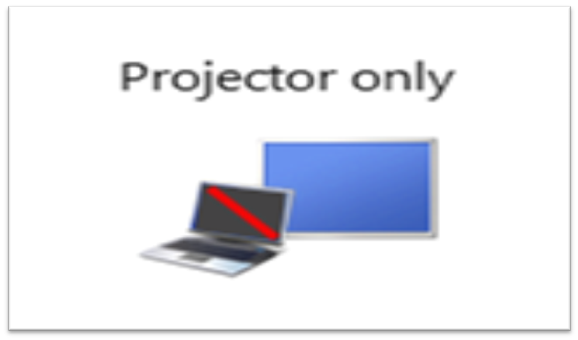 6.The "Projector Only" option disables the user’s monitor and displays only on the user’s projector screen. Hope these simple steps will be helpful for switching display.